Lopez!!! 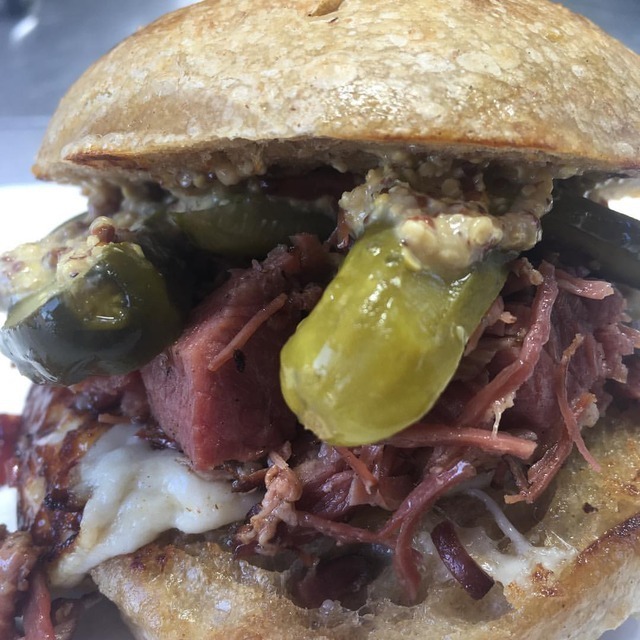 Starting today December 1st, 10AM - 3PM we now offer HOT SANDWICHES! Served on an artisan Barn Owl Sandwich roll or choice of gluten free bread. 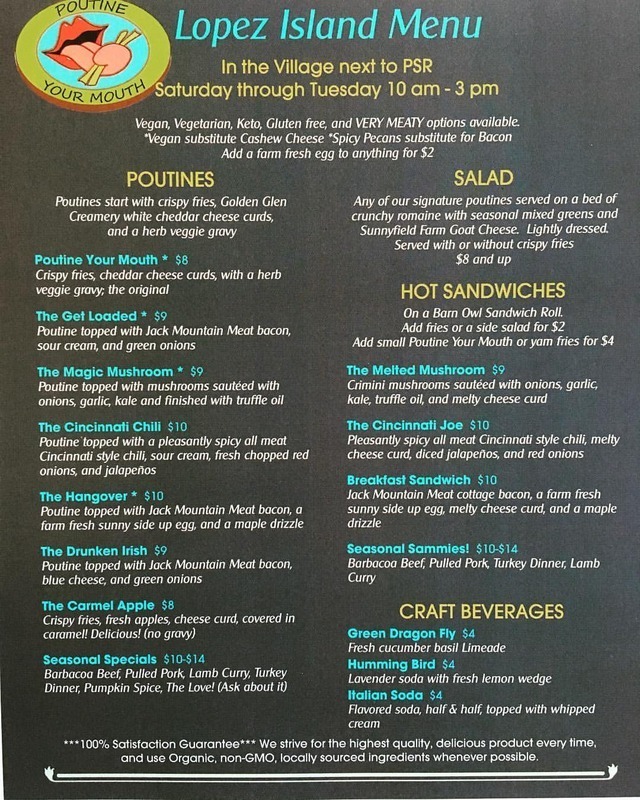 Try the Melted Mushroom (Vegetarian, can be Vegan), Cincinnati Joe, or Breakfast Sandwich with Farm fresh egg and Jack Mountain Meat Cottage Bacon. Donâ€™t delay, let us Poutine (put in) Your Mouth today!!!!! Yum! 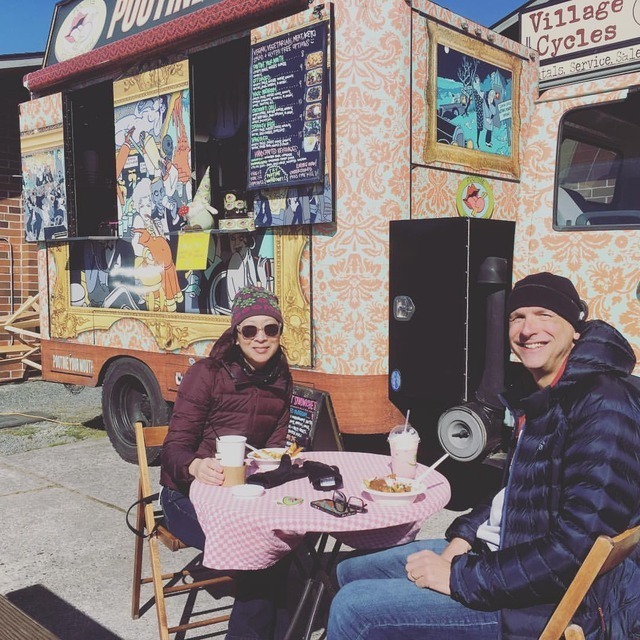 All our food is made from scratch with so much flavor and love you can taste it, #local #organic #scratch #made with love (at Lopez Island, Washington) https://www. Seattle Peeps!!! Day two Bumbershoot 2018. Entire Menu Gluten Free, Vegan, Vegetarian, and Meat options. Non-GMO, as locally sourced and organic as possible. Thank you Lopez for the wonderful week! We are enjoying this week and the bounty of this beautiful place. See you soon!!! 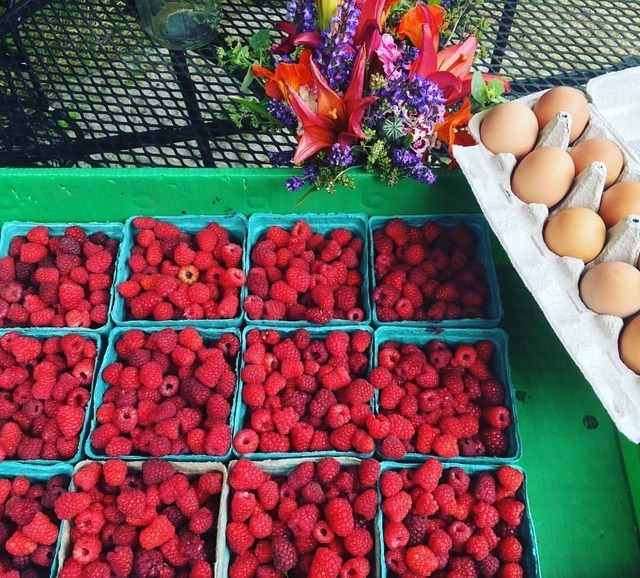 ðŸ˜˜ #jamtime #rasberries #organic #farmfresh #freerange #eggs #flowers #liveauthentic With Love, from Lopez (at Lopez Island, Washington). 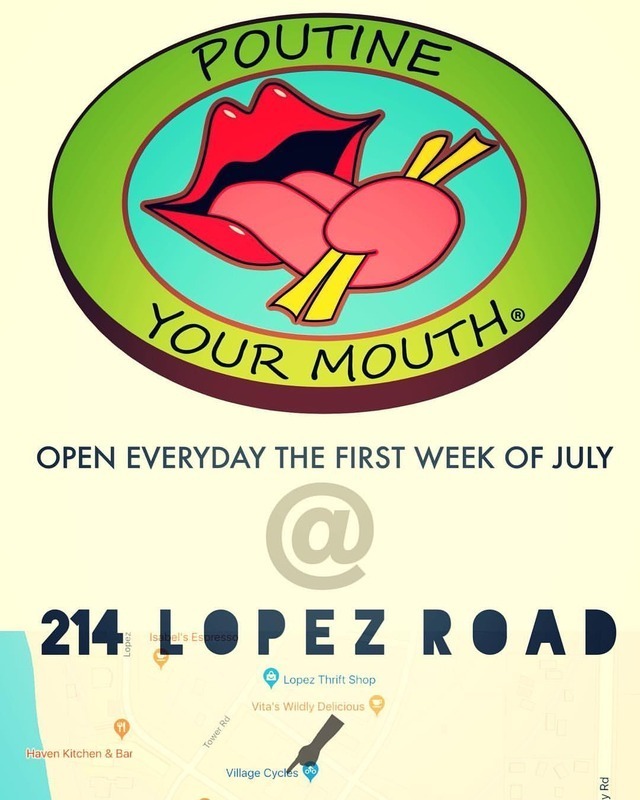 Today Sunday July 1st is the day to Poutine Your Mouth! 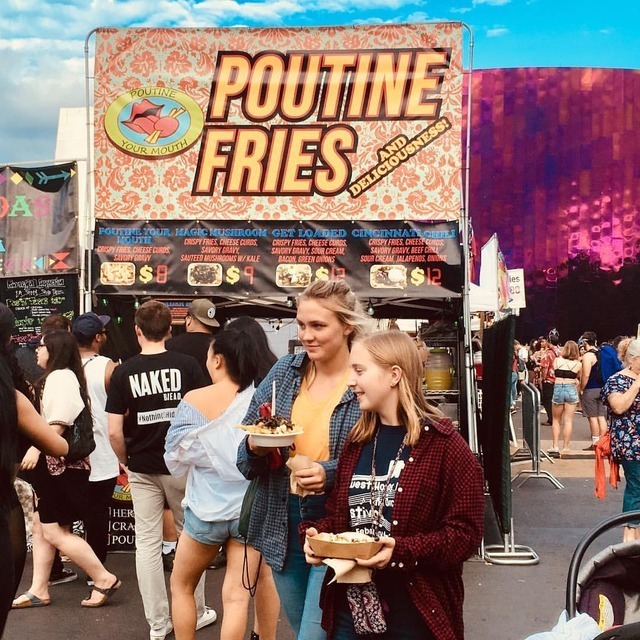 Crispy Fries, Cheese Curds, Gravy and other deliciousness. Open 11-8PM. 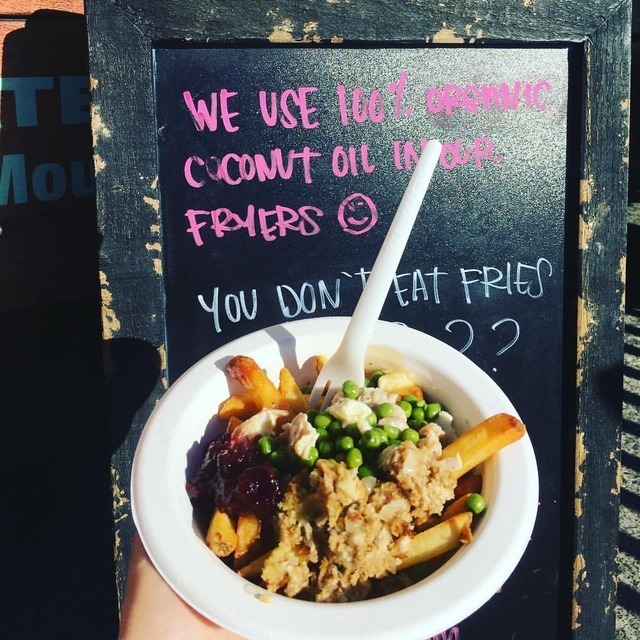 #poutine #poutineyourmouth #foodie #lopezisland @jackmountainmeats @beecherscheese #organic #local #deliciousness #fun. Lightning in a Bottle 2016!!! 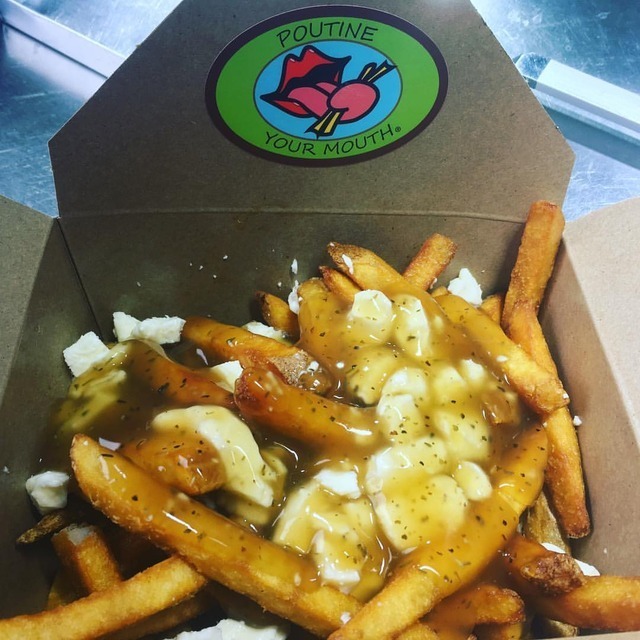 We cannot wait to Poutine Your Mouth with deliciousness and food made from scratch with love using the highest quality ingredients. Hormone free, Vegan and Vegetarian options, daily specials, incredible breakfasts, Try it In the Garden style! 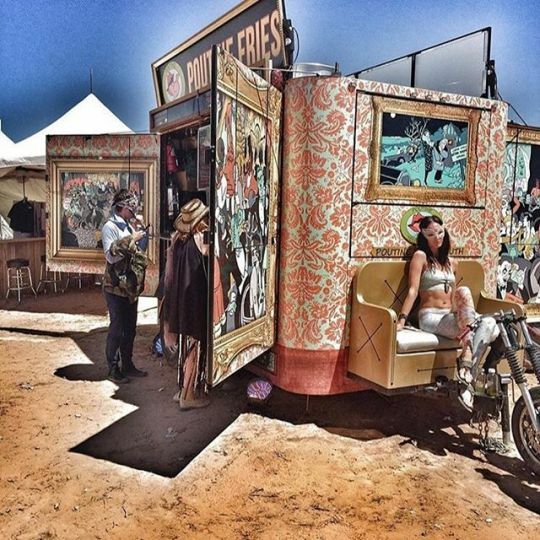 Come see us at the Woogie and Lightning Vendor rows and experience the most electric, bumpin vibe ever. Your mouth and tummy will thank you! 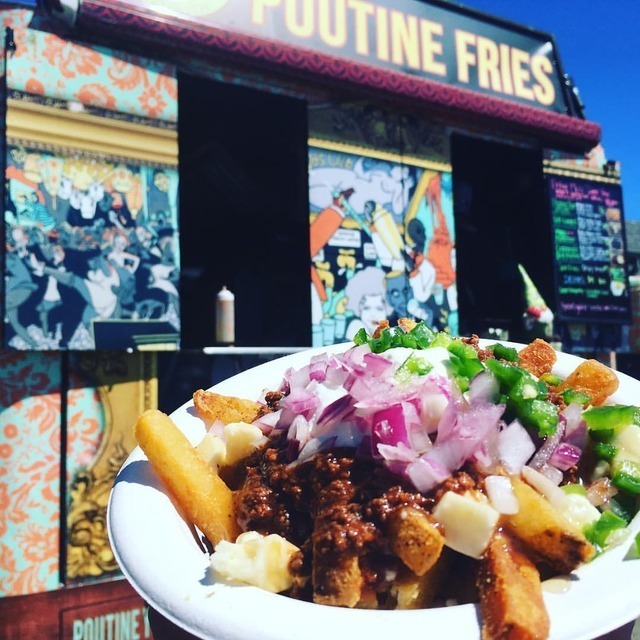 ðŸ’•âš¡ï¸@LIBfestival #poutinechronicles #poutine #poutinelove #poutineers #canada #glutenfree #vegan #organic #bacon #Cincinnatichili #magicmushroom #love #hangover #festivals #music #EDM #yoga #foodie photo credit @toddcohen.